Do you ever wonder how the IRS chooses which taxpayers it wants to audit? 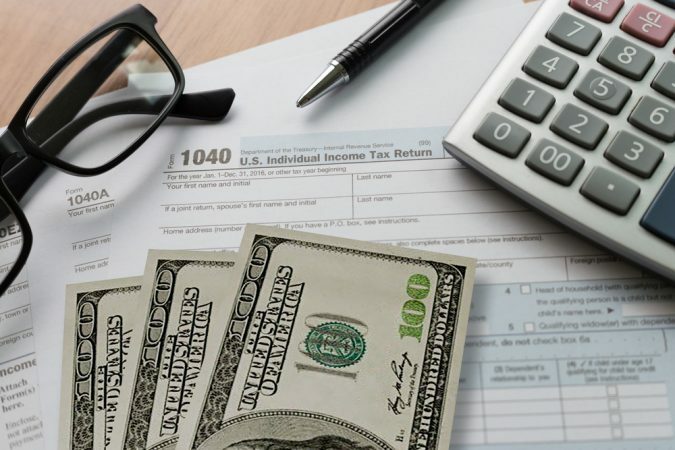 While the IRS audits only about 1 percent of all individual tax returns annually, you don’t want to be one of the unlucky few to get audited. Random selection and computer screening — sometimes returns are selected based solely on a statistical formula. Document matching — when pay records, such as Forms W-2 or Form 1099, don’t match the information reported. Related examinations — returns may be selected for audit when they involve issues or transactions with other taxpayers, such as business partners or investors, whose returns were selected for audit. Even if you do so by accident, errors on your tax return will give the IRS pause. Putting down the wrong Social Security Number and calculating something incorrectly are common mistakes that might cause the IRS to take a second look. Be sure that you enter the correct information and double check everything. It’s easy to make mistakes on your return if you’re filling it out yourself. And one mistake that will raise a red flag for the IRS is if your return is missing information. The IRS might wonder what other information is missing and audit you. If you make more than $200,000 your chances of being audited increase, a recent report on the IRS’ enforcement activity said. People with incomes of $200,000 or more had an audit rate of 3.7 percent. That’s about one out of every 27 returns. And the more you earn, the more likely you will be audited. Giving or donating to charity is commendable, but don’t over-exaggerate how much you give. The IRS is aware of how much people around your income level donate, so if you report giving away much more you’re going to raise some eyebrows. You must report all 1099 and W-2 forms. Remember, the IRS gets copies of everything you receive. Failure to report all your taxable income may cause red flags. By all means, deduct everything you’re allowed to. But don’t overstate your deductions or lie about them. The IRS is well aware of what is outside the norm for people at your income level. Be careful about deducting for having a home office. As we mentioned, deductions raise eyebrows. To qualify for this deduction, your home office space must be used exclusively as your place of business. If you’re entitled to the deduction, take it — but be prepared to prove that you regularly use the space for your business. And be sure to only deduct items that were used for your business. If your business runs mostly on cash or cash incentives — you’re a taxi driver, car washer, work in a hair salon or bar — you’re more likely to get audited. Workers in these professions tend to not accurately report all of their taxable income, like a number of tips earned. If you are the owner a small business, be sure to report all the income you’ve received to avoid getting audited. Don’t push the envelope. Also, don’t try to pass off a hobby as a business just to try to get a deduction. Foreign bank accounts have come under increasing scrutiny in the last few years. The IRS has actively tried to get foreign banks to disclose account information and launched initiatives encouraging tax evaders to come clean. If you’ve got a foreign bank account and fail to report it, you could face severe penalties if the IRS finds out. Clearly, you’re asking to be audited if you’ve filed returns in the past, but stop doing so. Maybe you are unsure of how you will pay your tax bill, but you’ll be charged with late payment penalties if you miss the filing deadline. And you could get into even more financial trouble if you’re identified as a non-filer. If you do pull a fast one of the IRS, think twice before you brag about it. Many cases start out with a whistleblower reporting how you failed to pay the taxes you owed. Why? Because the IRS offers a reward of up to 30 percent on the additional tax, penalty and other amounts it collects from the tax evader. For more information on what to expect if you’re audited, visit the IRS website. Should You Report Income From Bank Interest & Bonuses?